The Navy Federal Credit Union has recently revamped its Flagship Rewards Visa Signature card, the card now earns 3x on every dollar spent on travel and 2x on all other spending. The points are worth 1c however they are redeemed so this basically means the card earns 2% cashback on all purchases and 3% back on travel. Additionally, travel is categorized pretty broadly, with not only airline and train tickets, ride sharing, taxis etc… counting as travel, but also spending on hotels, golf courses, amusement parks, museums etc… will all get you that 3x back. The card has a sign up bonus of 50,000 points after $4000 in spending in the first three months. The sign up bonus is worth $500. 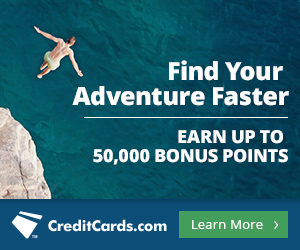 Points can be redeemed for cash back, travel or gift cards. Although Navy Federal describes this as their top tier card, I would call it tier 3 in my 5 level tier system. However the card’s annual fee is low for the tier at just $49 per year, usually tier 3 cards have annual fees of around $100. You get a lot for your money with this card. 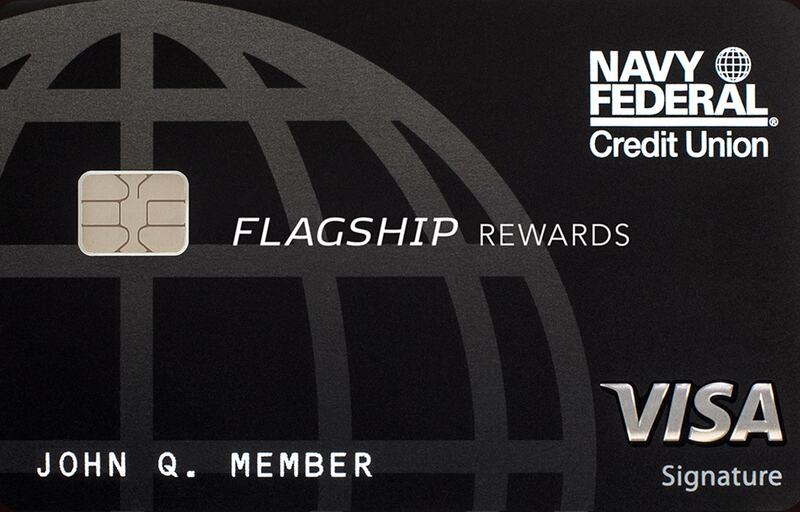 In addition to the usual insurances, fraud protection etc… that other cards give, the Navy Federal Flagship Rewards card also provides a $250 cell phone protection plan with a $50 deductible for up to 3 phones, a $100 Global Entry credit, 15% off Silvercar rentals and access to the Visa Signature Luxury Hotel Collection. In addition to these benefits, the interest rate is between 11.74% and 18%, and there are no foreign transaction, cash advance or balance transfer fees. So who can apply for this card? Well despite the name, you don’t have to have to be in the navy, but you do need some kind of ties to the military, however the definition of “ties” is pretty broad. You can be active duty or retired military, a member of the National Guard, a contractor for the Department of Defense or be within two generations of someone in your family who was in one of those positions. The card was voted best Military Travel rewards card by Wallethub for 2018. Although the value of the rewards and lack of airline transfer partners won’t cut it for some, I would say the package of benefits this card offers is pretty impressive for a card that is just $49 per year, the sign up bonus and Global Entry credit pay for the first 12 years of membership! So if you are one of those people who qualify for this card, it may be a good choice to add to your collection.